If your computer has multiple network interfaces, there might be a chance of confusion while configuring them. It is better to understand the current configuration of all interfaces on your computer. While checking the configuration on an interface, you must verify the DHCP status, IP address assigned to the interface, subnet mask and default gateway with gateway metric, Interface metric, WINS Server configuration etc. There is a DOS Prompt command to display all these TCP/IP details of every interface on your computer. 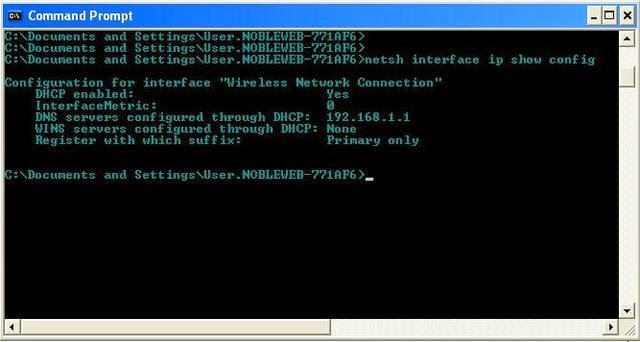 This tutorial explains the use of this dos command and checks the current TCP/IP configuration on all active network interfaces on your computer. Type cmd on Windows Search and click it or type cmd on Run window and press enter. If you are using Windows XP, network adapter details will be listed like this. 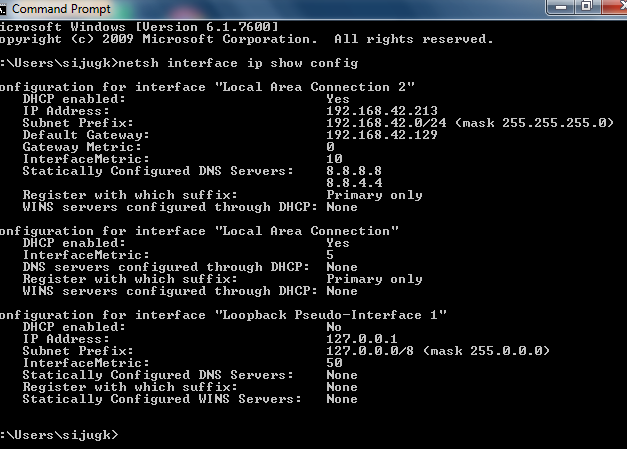 On Windows 8 and Windows 7 computers, network adapter (Interface) settings will be displayed on Command Prompt like this. By using the above command, we can see the following configuration information of every active adapter on a computer.